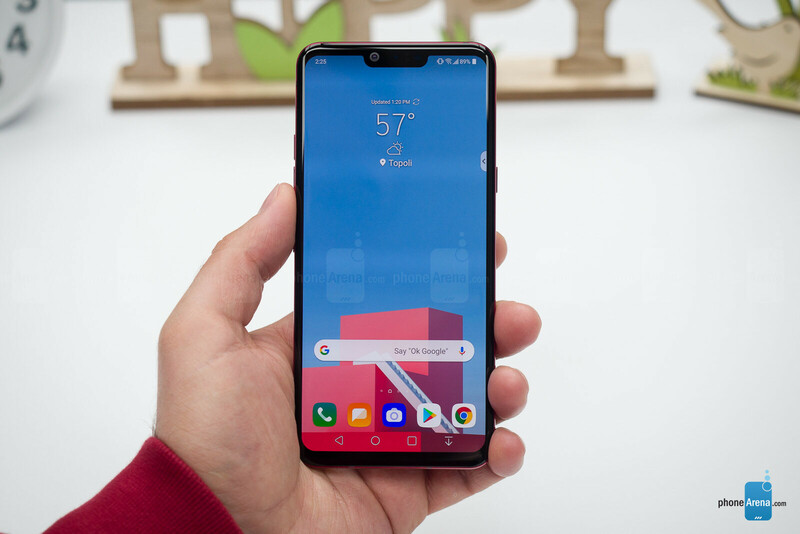 These are our 8 key takeaways from our LG G8 ThinQ review. 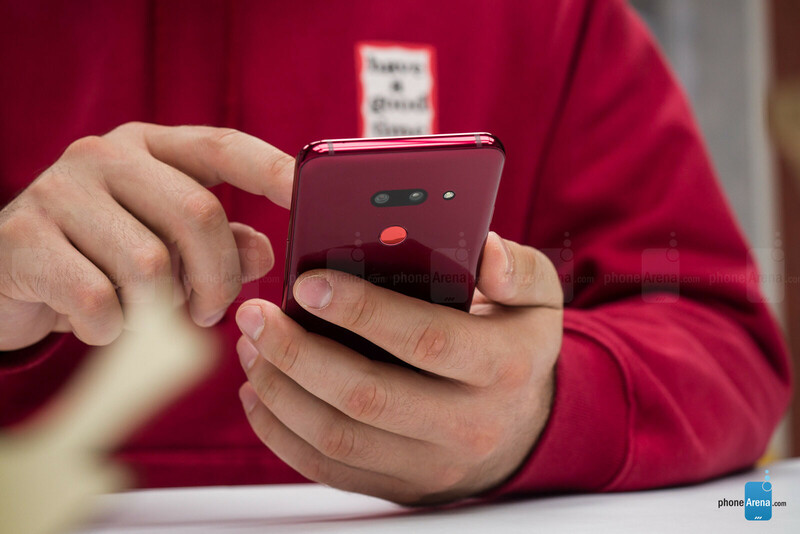 There are three main things you should know about the design of the G8: it feels every bit as premium as other flagships with a very solid glass body and a metal frame, the signature red color is spot on and looks really good, and this is one of the most slippery phones out there! For those of you that will use it with a case, that's not much of a problem, but if you prefer to carry your phone around with no case, well... be careful where you place it. Our review unit has already slipped off a table a couple of times (thankfully, it survived and still has no cracks). And yes, you do still have a headphone jack on board as well. If you ask LG what is the coolest thing about the G8, the company will surely tell you about the new Air Motion gestures that allow you to control the phone with your palm from a distance, much like in the movie Minority Report, and it will tell you about the innovative vein recognition that reads the unique pattern of veins on your palm to unlock your phone. At least, those are the features that you see heavily advertized on LG's website and in promo materials. But here is the thing: these features don't work great. Who in their right mind would have the patience to hover their hand on top of their phone to adjust volume when you can just press the volume up and down keys? Even if those gestures worked perfectly every time (they don't), it would still make more sense to use the buttons. Put simply, the features that LG advertizes are pure gimmicks. So let's just ignore them and pretend they are not here, and judge the LG G8 for everything else great that's in it. While most Android flagships these days seem to use a fingerprint scanner embedded in the screen, the LG G8 instead has 3D face recognition. And this might just be the most convenient secure unlock we have used on any 2019 Android flagship. First of all, this is true 3D face recognition, meaning that it is indeed secure and you cannot easily fool it with a photograph, and second of all, it's fast, it's accurate and it works in the dark. It's not quite perfect, but we find it works much better than most in-screen fingerprint scanners. Excellent job, LG! You also have a traditional fingerprint scanner on the back, which works great too. It's fast and accurate, much more so than an in-screen fingerprint reader and you can also swipe down on the fingerprint scanner as a shortcut to quickly reveal your notifications which is very handy (you have to enable this in settings first). 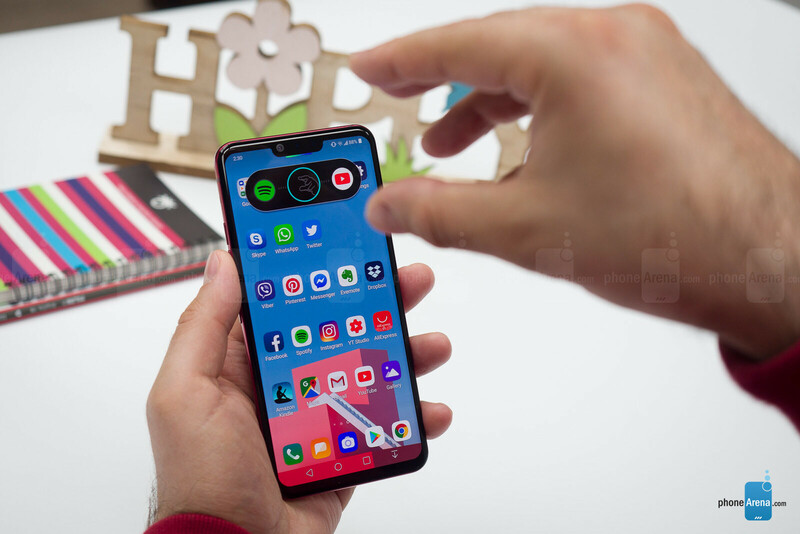 One thing that surprised us negatively when using the LG G8 was the amount of lag and stutter in places where you would not expect it like in the home screen and the recent apps interface. This definitely feels like a bug in the LG interface and something that we have seen on pre-production devices, but definitely not something that we can tolerate in a phone, let alone a flagship. The stutter is quite noticeable, but we do hope that the company will fix it with an update as this seems to be some kind of a bug and this is definitely not expected in a phone with the latest and most powerful Snapdragon chip around. 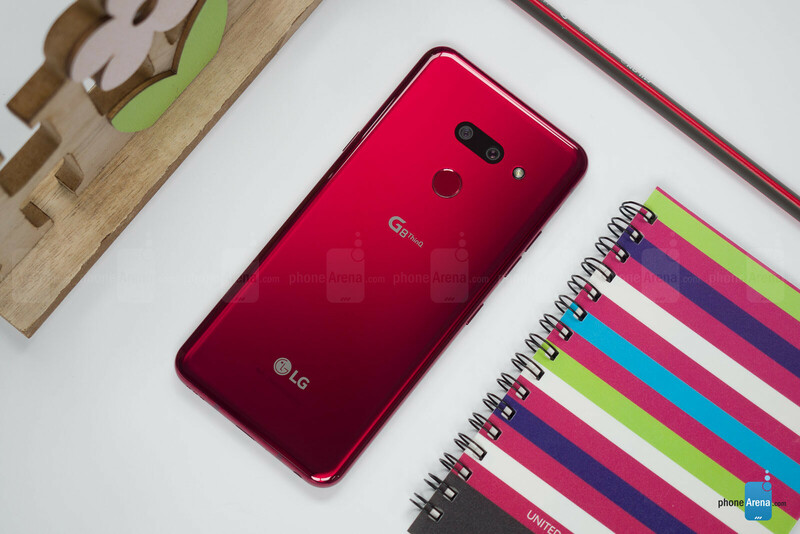 LG phones were among the first to offer a secondary, ultra-wide angle camera in addition to the main one and the LG G8 keeps that feature, but in 2019, most flagships have caught up, so the LG no longer has the competitive advantage in this regard. 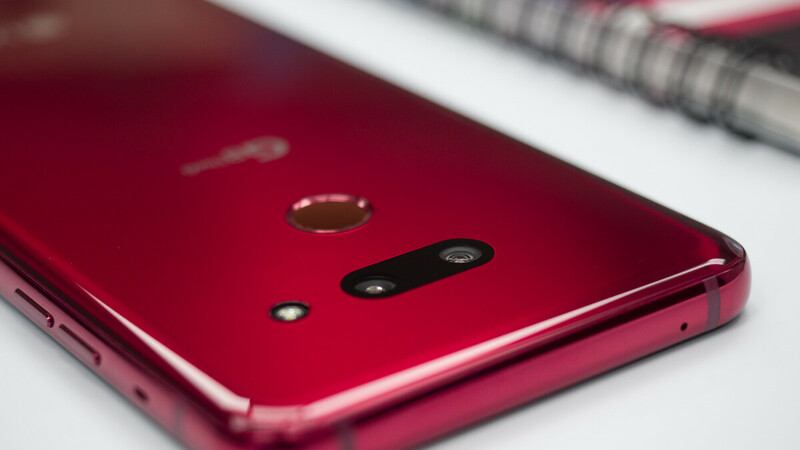 And while you might have seen LG G8 models with three cameras on the web, the versions made for North America, Canada, the UK and Europe will have only two cameras on board, the main and the ultra-wide one. So yes, this is a step back from the V40, which had a third, telephoto camera as well. 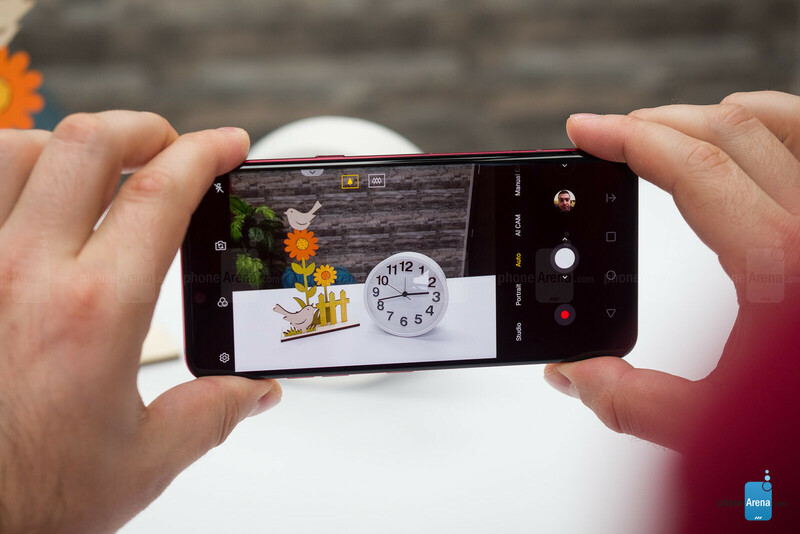 Image quality is quite decent during the day, but at night you the performance is not quite on par with the very best around like the Galaxy S10 series, the Google Pixel 3, or the iPhone XS family. 4K video also looks quite good during the day and you get very decent video stabilization when recording at 30 fps. If you look closer, you will notice that the G8 lacks a dedicated in-call speaker. Instead, it uses an innovative system where the screen vibrates to produce sound for calls. This actually works very well and you should not worry about it: we could hear our callers loud and clear. One thing that is not quite great, however, are the loudspeakers. Just like the LG G7, on the LG G8 you get a so called Boombox speaker that uses the entire inner volume of the phone as a resonance chamber, and if you place the phone on a flat surface, it further amplifies the sound. 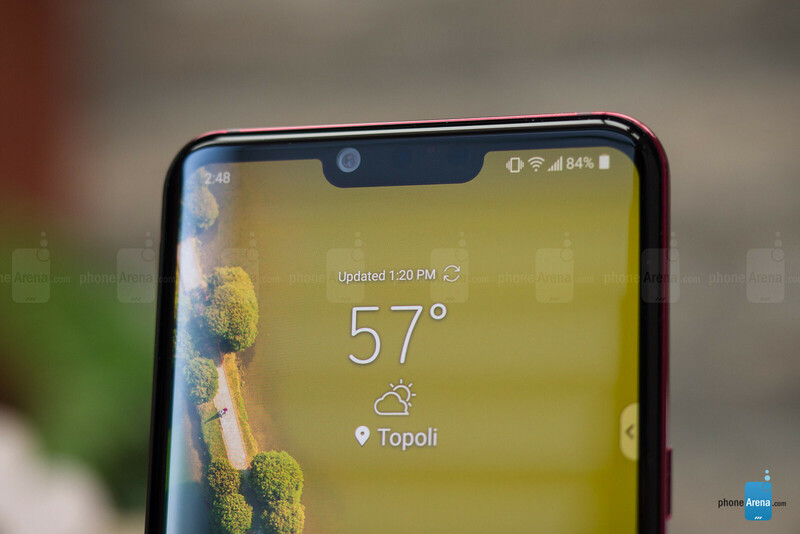 However, in reality this results in a boomy overall sound that lacks clarity and treble, and the sound is not as well-balanced as say on the Galaxy S10. 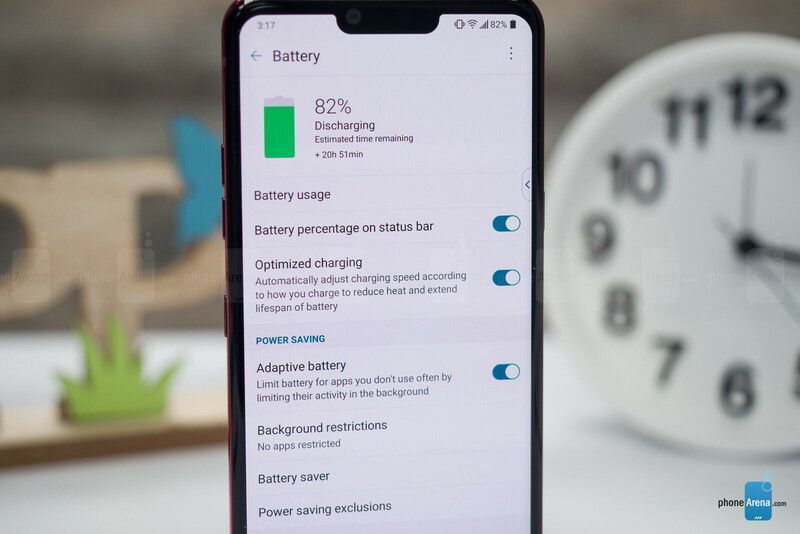 With a 3500mAh battery, the LG G8 has a larger battery than all previous G series and while it does not break any battery life records, it will easily last you a full day even when you use your phone a lot, and with moderate use you can even stretch that to two full days. You also have support for wireless charging as well as a traditional wired fast charger included in the box (it will take around 1 hour and 40 minutes to get a full charge). At the end of the day, the LG G8 ThinQ fails to be the very best phone in any one area, but it's all forgiven when you look at the price. While the official MSRP is more than $800, in reality, all carriers and retailers offer deals that bring the real price down to around $600. At $600, the G8 is the most affordable Snapdragon 855 phone around and that is where its real value lies. Forget about the gimmicky "Air Motion" gestures, vein recognition and the rest, and you'd be quite happy with what this phone offers. LMAO a laggy UI?! You’ve got to be kidding me. S**t like this and updates are what drove me over to iPhone. My patience ran out for Android. I’ll try again when Fuscia comes out. "The user interface is surprisingly laggy Choppy in too many places, but we are hopeful that this will get fixed with a software update" Funny you should say that, since LG doesn't believe in software updates. In some regions, even the G7 and V40(2018 flagships) users are still waiting for pie updates, while other companies are updating their 2017 and 2016 flagships even. Many users are complaining about updates breaking bluetooth or Wifi on their phones, and no updates after that to fix them. Not to forget how many LG phones bootlooped (Nexus 5X, LG G4, V10, V20 etc) and were just left to die. LG is by far the last company I'd hope to solve software issues. And forget android updates.